Authentic museum quality dagger based directly on an original of the time. The German Red Cross (Deutsches Rptes Kreuz – DKR) was in place prior to the rise of the Third Reich. The DRK operated as civilian organization manned by volunteers and some paid staff. 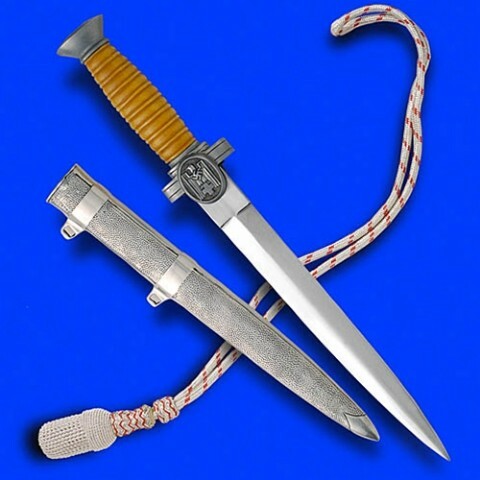 Also known as RED Cross Leader Hewer the features of the dagger include an all-steel nickel plated 25.5cm blade. 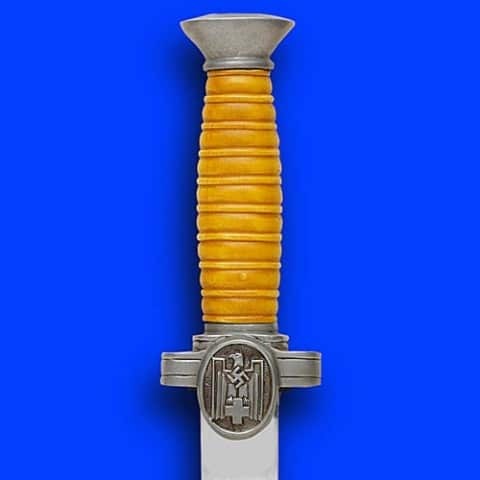 Comes with the correct grip and a silver/red embroidered dagger knot.